As always, your soaps are just too cute for words. Oh dear,you are a child soul captured in an adult body! Sweet,clean and romantic. 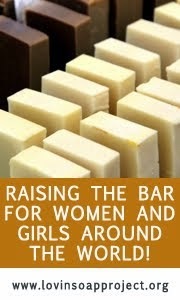 Like soul,like soaps! That's sweet Maya, I do love it when soap tells a story..perhaps you are right! This soap is so cute!!! I really love it, like all your soaps with these little bits and pieces, I am much too unpatient for all this work. 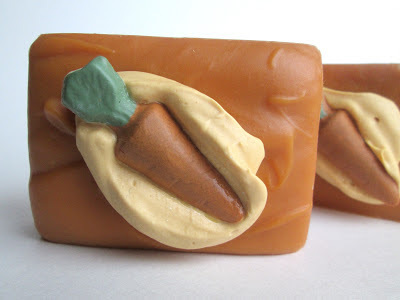 Love this soap.....I'm crazy about soap that looks good enough to eat LOL! Are the little carrots cold process soap too? 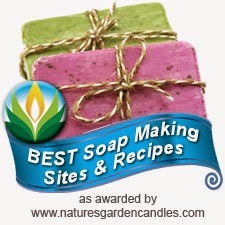 Every time I try to make cp decorations for my soap I can't get them out of the mold! Hi Gloria! 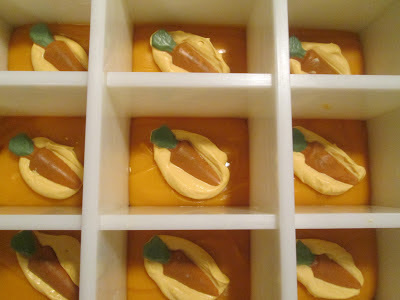 The carrots are made from glycerin soap, I find it captures the fine details of the molds better and comes out much easier (as you mentioned!). Have you tried adding sodium lactate to the CP soap in the molds? Very cute, Cee Gee! 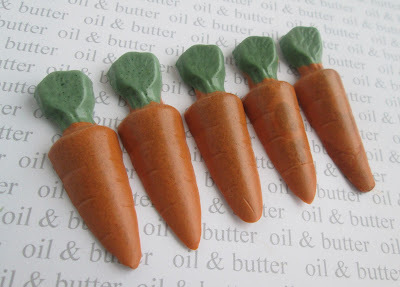 I love the little carrots. Honey, buttermilk, and carrots sound lovely together in soap. I've tried carrot juice in a batch and liked it very much. And I always love honey! I need to try buttermilk someday, too. Thanks Jenny! 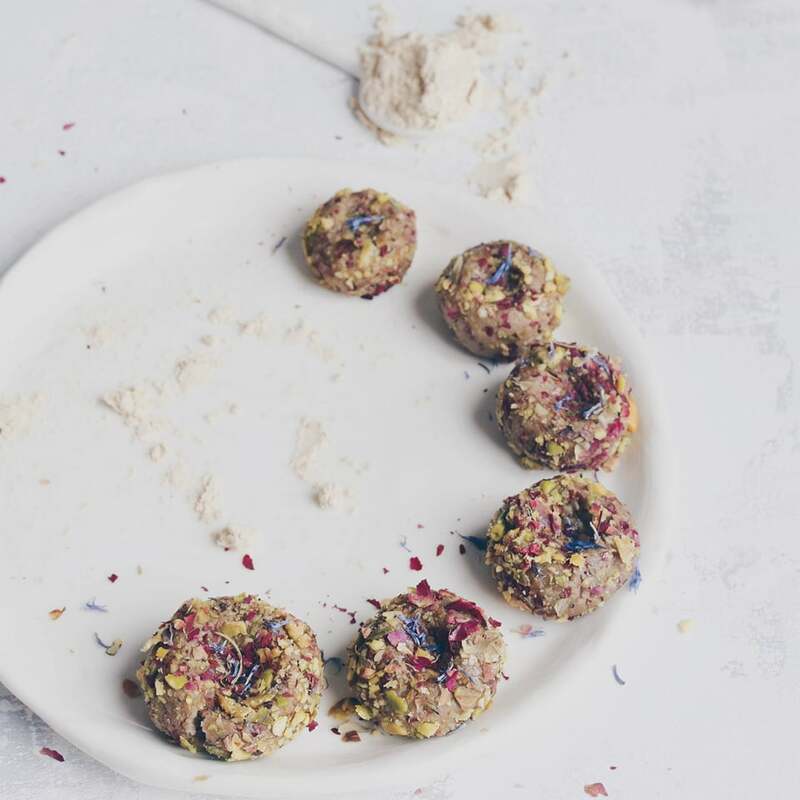 I am really liking the qualities buttermilk brings, and it's quite easy to work with. Carrot juice is a great idea too...I think your Carrot Orange Ginger soap was one of the first ones I stumbled across on your blog! 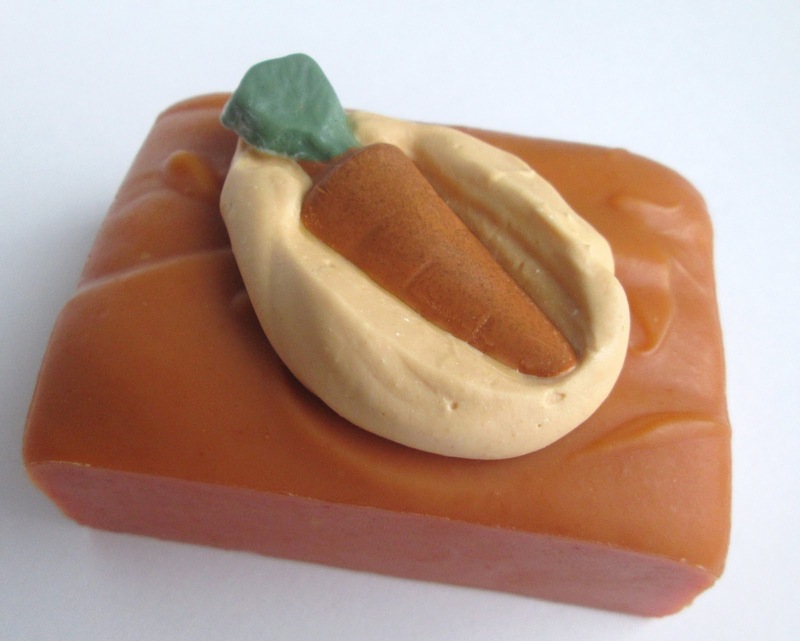 This is such a cute spring soap. Love the pillowed tops the dividers gave your bars! That's so funny Chrissy, because I've been thinking I should make an Easter soap and didn't connect this one with the season! Too cute! Pretty orange color from the infusion..spot on! I love it! They look like little carrot cakes! I have not tried Buttermilk yet, maybe I will try it soon. What original design, soap turned out gorgeous! I really like your precision and it is really amazing that colors are not smeared. Great job Cee! Thanks so much Natalia, Mini and Sacha!!! Oh, so cute and funny and a great idea ! !